With a passion for saving teeth and an ambition to succeed in doing something I love, I am committed to giving every patient a painless and amazing dental experience. This is an exciting time and using the most up-to-date technology allows me to gain better results and - most importantly - happier patients. After all, if patients do not leave my practice pain-free and satisified then what is the point?! I'm extremely fortunate to work as a referral endodontist in London and across the country which allows me to accept advanced and interesting cases from many other practices as well as treating all root canal treatments in house. I currently accept referrals at multiple dental clinics in London, Birmingham and Kent. In my job, every day is different, every patient is different, every root canal is different. It is my job - and an endless enjoyable challenge - to overcome all obstacles so everybody, especially my patients, can go home smiling. In the past, when a patient required root canal treatment, the procedure usually took up to four individual visits before the issue was completely solved. We understand at ARCENDO that having to take so much time out from daily life - from work, from seeing friends and family - can be difficult to organise and a painful and arduous task. As a result, at ARCENDO, we have now revolutionised the concept of root canal treatment which means that now, in 95 percent of cases, we can treat root canal problems in a single visit! The reduction in the amount of time you will have to spend in the dentist's chair is down to the way we have adopted and embraced the new technological changes that are occurring in the dentistry world. Our single-visit approach is also borne out by the latest dental research. The 2016 Cochrane Review proves that there is no difference in result between one visit or several, confirming that endodontists can fix root canal pain faster and more effectively than ever before. When it comes to the approach taken, there is little doubt that root canals can be a complex treatment for a general dentist and that is why it is worth seeing an endodontist, who can immediately begin to relieve pain, fix the problem and ensure your root canal issue is a thing of the past. Although the public perception of root canal treatment can be rather intimidating, in reality, our ARCENDO endodontists are well-versed in making the procedure as pain-free as possible. 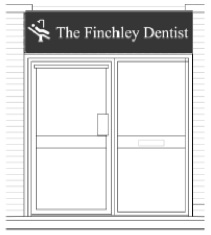 Firstly, to prepare you for your possible root canal treatment we may need to take a x-ray of the tooth in order to plan the case and a root canal treatment is then generally carried out using local anaesthetic. For more anxious patients we may us some pre medications to help relax the patient prior to any procedure. This is a rarity though as most patients cope well with the work required. Once the problematic area is entirely numb, we place a rubber dam over the tooth to make sure it remains dry throughout the procedure. The canals are then prepared and cleaned meticulously using the latest in nickel titanium files and a liquid solution that helps remove all the tissue remnants in the canals. When we are confident that all the canals have been located, shaped and cleaned it is time to fill them. This is done by using a special sealer which creates a well-secured and long-lasting sealed space which will no longer cause any problems. The seal also stops bacteria from recontaminating the root canal which safeguards against any future infections. At ARCENDO we are determined to prevent return visits with root canal issues so once the tooth is ready, we concentrate on protecting it further. For front teeth (incisors and canines) a filling may be enough. However, for the back teeth a crown may be needed to distribute the heavy forces and future-proof the affected tooth. Once we are happy that all possible measures have been taken, the patient is then offered as much post-treatment help and advice as they need. At ARCENDO, we will always strive to solve your root canal pain in a single visit. And now, more than ever before, it is highly likely that just a single trip to see us will end all your pain! Come and visit us at ARCENDO 26 Southern Rd, London, N2 9JG or call us on 020 3488 0977to book an appointment.